The distance is now clear and crisp thanks to my new specks. I tripped out for a couple of days looking at the paint on the neighbors house, each grass blade in their yard, and the magnolia trees down the street. Its a wonderful thing to see details in the distance. We took a walk around the block the first day after it stopped raining and who knew each individual rain drop puddle would be so beautiful. I have been looking at the near future as I plan for my NYC trip coming up next Friday. Making lists is easy, executing said items on this list is not so easy. I have Umbuntu on my netbook and have had some issues to work out with Skype. Fixed after much frustration and then a "duh" moment at the end. I have been looking into downloading ebooks from the library onto the Nook. Done. Now getting the laundry under control.....ugh. Tomorrow is International Barefoot Running Day and I have planned a get together at Grays Lake at 11:00 a.m. at the south east parking lots grassy area. EVERYONE IS INVITED!!! 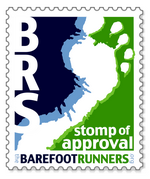 The whole family and I will be there to meet other barefoot runners or those looking to start barefoot running. The weather looks like it will cooperate nicely. I have nuun for those attending, but bring your own water and bottle, and I also have Ecolips lip balm for you as well! Oh and two Barefoot Running Step by Step books by KenBob Saxton to give away as a "door prize". I am going to help Jerry tend bees on Monday. He has 8 hives that made it through the winter and a couple of those hives are sort of half arse. One has a queen for sure and the other we are not sure if there is a queen. We will open up that hive and see if we can see eggs that have been laid recently which is a sure sign of a queen. If there is a queen in there then we have to decide what to do with those two hives. More than likely we will combine the two to make a big healthy honey producing hive. I love learning this stuff. We sat and talked yesterday while sipping iced tea in the sun about grafting queens this summer and my oldest spawns desire to have a duck as a pet. He gets first dibs on a Muscovy peep when the eggs hatch. Yesterday was the first skirt day of the year! Its about time. The weather ha Here's to many many more warm days! We set out to do 15 miles and stopped at 5. This weeks theme has been running interruptions. Its been one thing after another. The miles were barefoot and it was warm. I can't complain too much. I need that shirt. tell me where to buy!! I've never been stung by a bee. What a great way to celebrate the day tomorrow! Wish I was there. One week and I get to meet you, new specs and all! Woohoo. Great t-shirt, sounds like a wonderful event, enjoy. Shirt looks awesome! I hope you enjoy your NYC trip! Did you design that shirt Annie??? Have a great time on your trip! Great shirt! Hooray for bees and better weather! Love your shirt! When are you going to sell them on your site? That shirt is sweet girl. Hated to miss Sunday but cant get to far from home during planting season. So jealous you are getting to meet some blogger that would be so cool. Now make sure you talk them into coming to Des Moines for the IMT Marathon. Would so like to meet some of them. I love your new specs. So excited for May 14th! Can't wait to finally meet. Feeling the sun and being able to wear that running skirt is so nice! 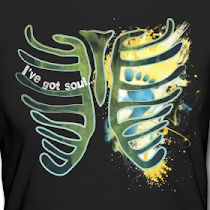 I like the shirt! Very nice! I tested out lemon-lime nuun for my past two Saturday runs and love it. I think my local REI might sell out of it this summer, hee hee! Your glasses are lovely and I concur with the crowd above that the shirt is SWEET! I hope that you are not allergic to bee stings, but understand the overwhelming feelings that accompany the "fear."